The PRO12P is top in its class of powered speakers. 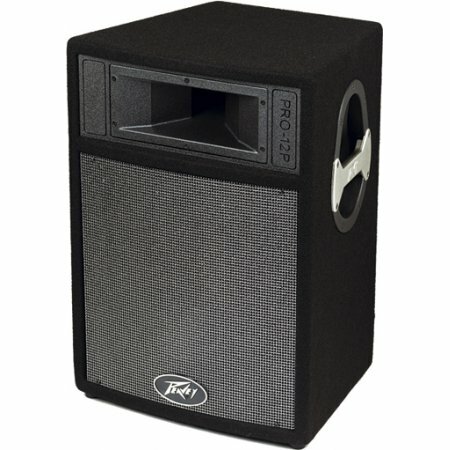 Powered by Peavey’s class H bi-amped system, the PRO12P delivers a total of 270 Watts. The premium 12 inch woofer is powered with 200 Watts while the 1.4 inch compression driver gets an additional 70 Watts, which are combined to create a great sounding system that’s crystal clear. Both amplifiers feature patented DDT™ compression, which virtually eliminates audible power amplifier clipping. The PRO12P also makes an excellent stand alone PA. The built-in 3 channel mixer with individual volume controls as well as mic and 1/4 inch inputs make quick setups an easy task. Made of high-impact polypropylene, the PRO12P has molded handles, a stand pole mount and multiple mounting points for permanent installations. Carry cases available, please contact us for details.